Bristol digital creative agency e3 Media has landed one of the industry’s top awards for its work developing a new website and digital presence for the Royal Navy. Winning the Web Design and Build category at last night’s prestigious BIMA awards – which celebrate the ‘Best of British Digital’ – recognised the way e3 brought a raft of new ideas to the Navy’s web offering, transforming its site to give it a stronger role in educating, informing and influencing a wide range of stakeholders, from the general public, to employees and their families. The site also plays a central role in recruiting future naval personnel. E3’s approach was to redefine the Royal Navy’s digital design strategy to focus on storytelling, creating a content-first, responsive website which is rich in inspiring video content allowing the audience to quickly access information about roles across the Royal Navy’s five branches. The team also created a suite of digital recruitment brochures and helped to develop a new social media strategy. Since its launch in June the new website has a 641% increase in visitors and a 202% rise in potential recruits completing applications online in July alone. E3 creative director Tristan Pride said: “This has been a fantastic piece of work to be involved in and we’re extremely proud of the results. E3 was also shortlisted for the Public Life, Mobile and UX awards. 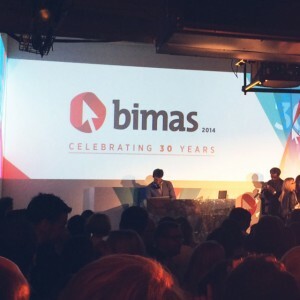 The BIMA awards, now in their 30th year, are supported by high-profile publications Contagious, the Guardian and The Drum.